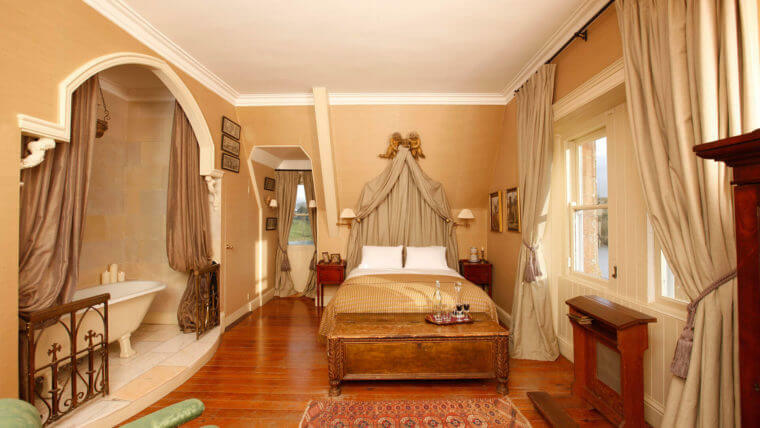 With its authentic interiors and old-style hospitality, this Irish Castle Hotel exudes old world grandeur and offers complete respite from the world. 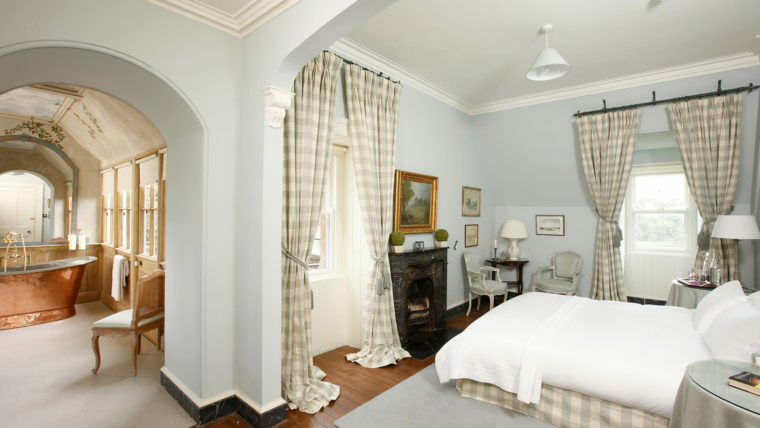 As one of the finest and most sought after Castle Hotels in Ireland, it is a truly private retreat free from distractions and intrusions of the outside world. 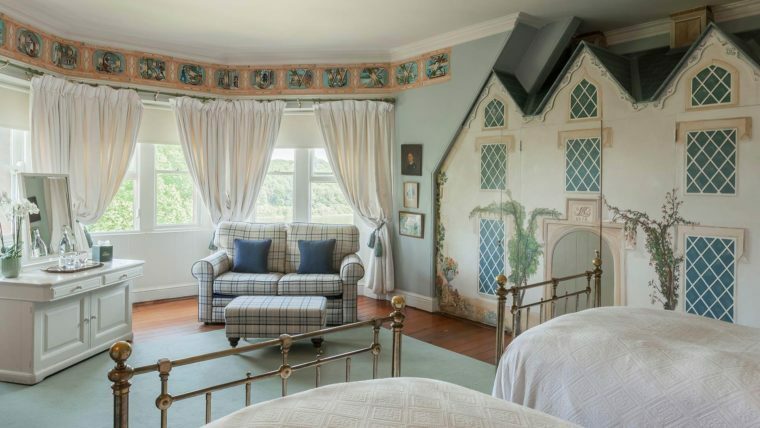 This Irish Castle Hotel is not a typical hotel experience – you won’t find televisions, radios, or minibars in the Castle bedrooms,. 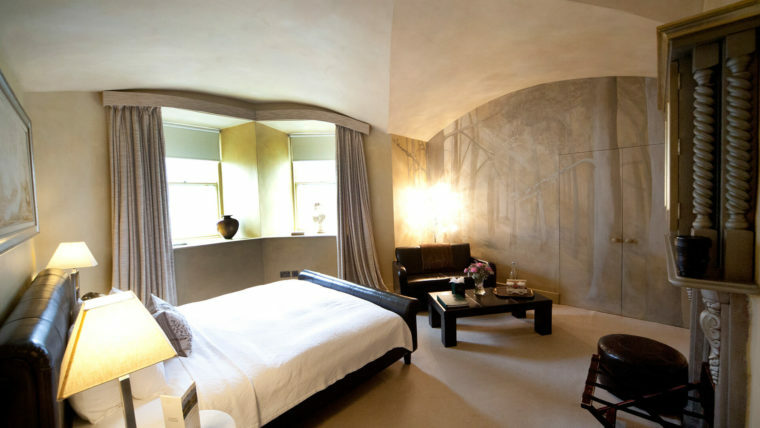 However, we do offer all of our guests complimentary WiFi in all public areas and bedrooms in The Castle. 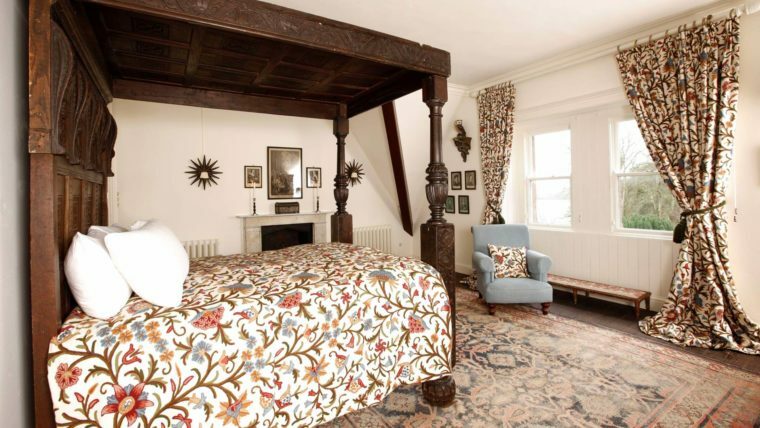 The unique and dramatically different bedrooms are tranquil and calm – havens for sleeping and dreaming. 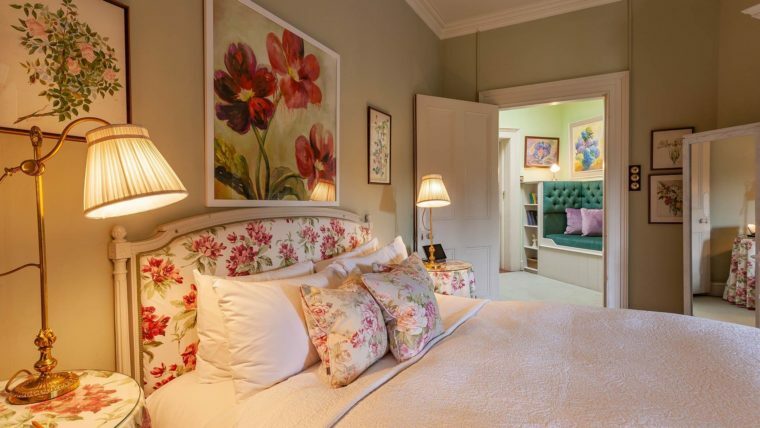 At this luxury hotel in Ireland it’s entirely up to you whether you sleep until noon or rise at dawn to enjoy all the Estate has to offer. 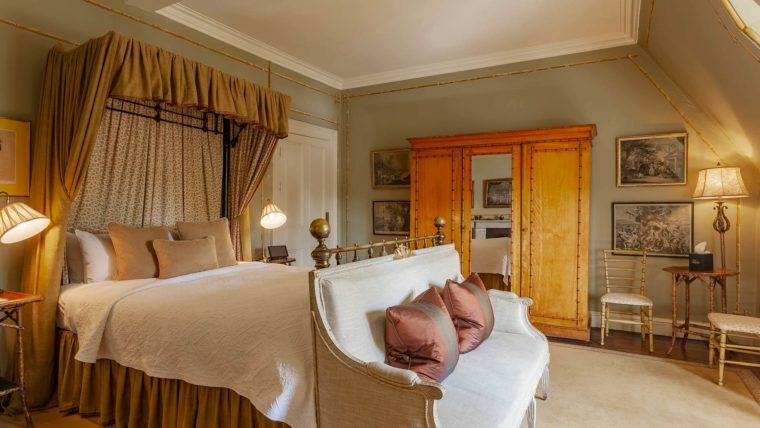 There is no pressure at our luxury hotel Ireland to do anything except relax and indulge yourself at one of the finest castle hotels Ireland has. 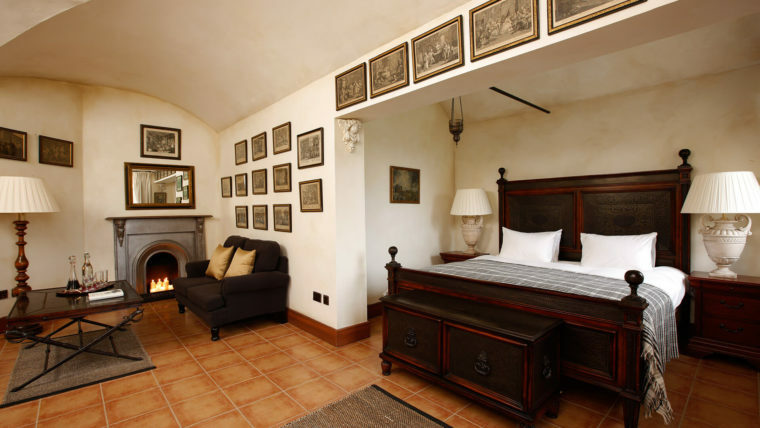 Log fires crackle in the hearths and there are several elegant rooms in which you can relax in privacy or in the company of friends. Breakfast is served until eleven in the dining room. 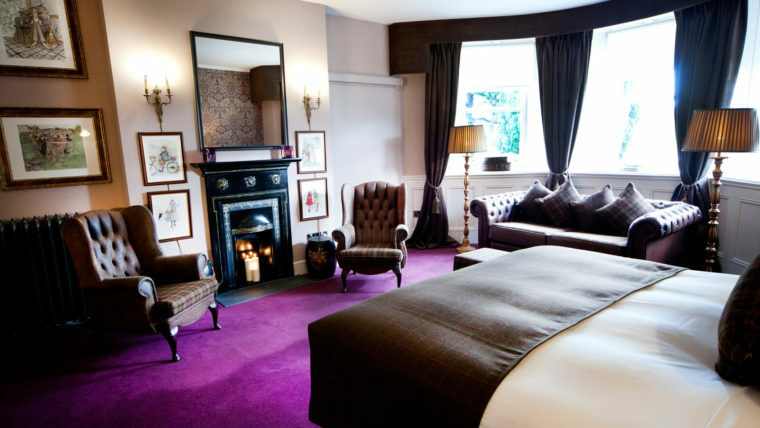 You can sneak off to a special screening in the private cinema or test your skills at the full-sized Snooker table. 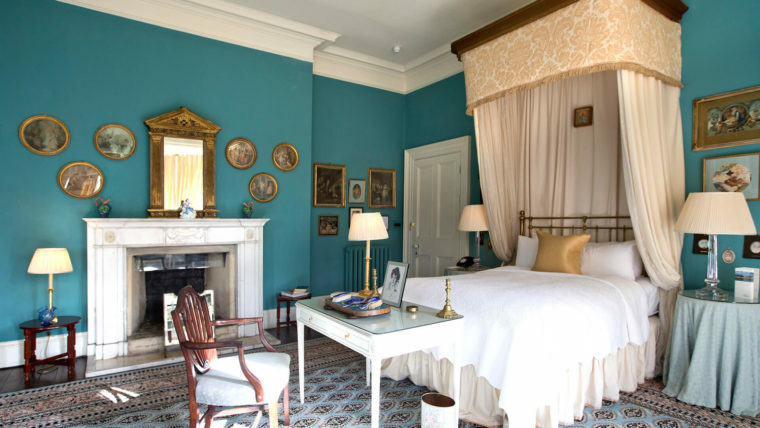 You may prefer to relax in the magnificent Drawing Room with its grand piano and famous De La Robbia fireplace, all these features combine making Castle Leslie Estate one of the most sought after luxury Castle hotels in Ireland. Weather permitting, why not enjoy a picnic in the woodlands or a pre-dinner drink on the lawn at this amazing Irish Castle Hotel. If you are staying in Castle Leslie Estate as part of a group, you may like to enjoy an informal BBQ on the terrace. Dine by candlelight in the Gallery or if you’re looking for something more intimate and romantic, dine privately in the hand-painted Blue Room. All these amazing dining options combine to make Castle Leslie Estate one of the finest luxury hotels in Ireland. 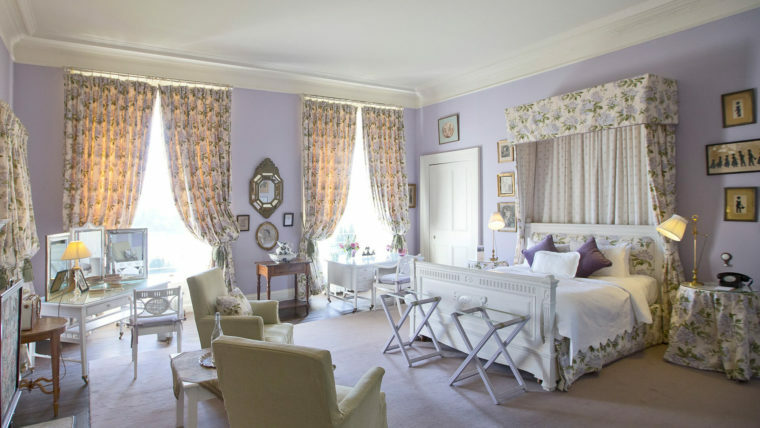 As one of the finest luxury hotels Ireland has to offer, Castle Leslie Estate is filled with beautiful furniture, antiques and heirlooms. 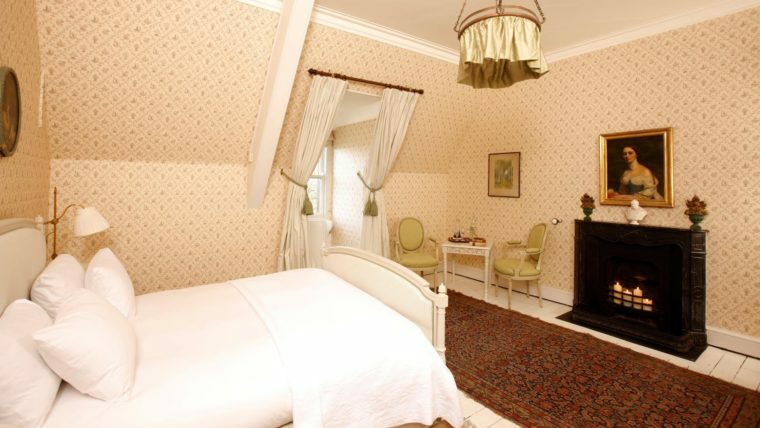 The Castle has twenty original and uniquely decorated bedrooms and bathrooms. 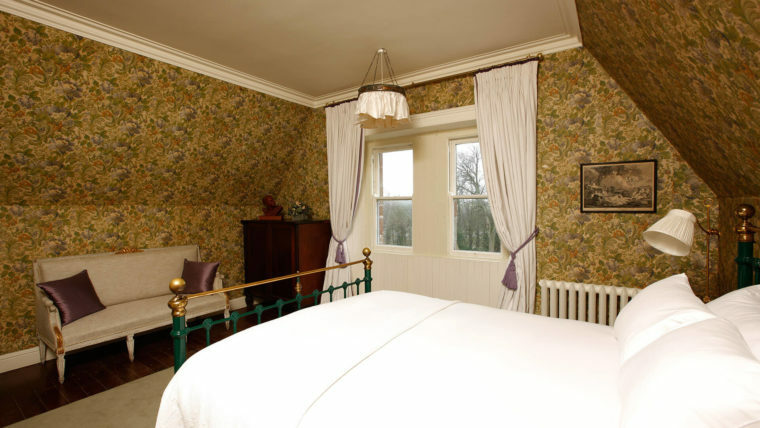 Our castle accommodation in ireland is full of character, furnished with authentic flair and dotted with family heirlooms. 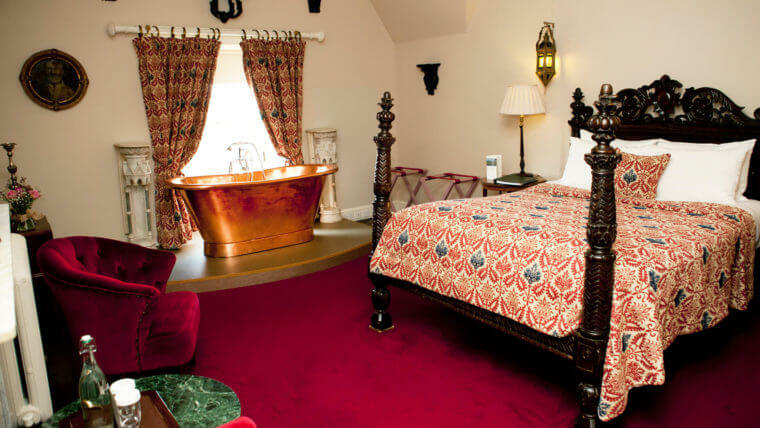 From romantic boudoirs designed with relaxation and privacy in mind to more flamboyant bedrooms decorated with rich deep colours, there’s a room and a view to suit every taste at this Irish Castle Hotel. 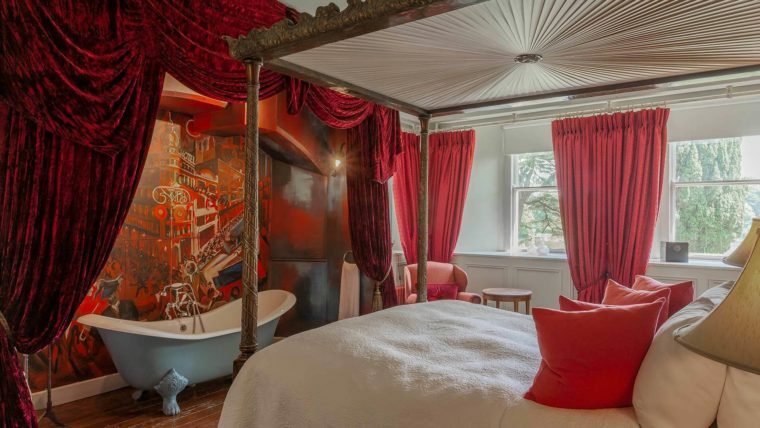 Each bathroom is unique and features include the oldest plumbed bath in Ireland, a throne toilet and a complete bathroom hidden away in a doll’s house. 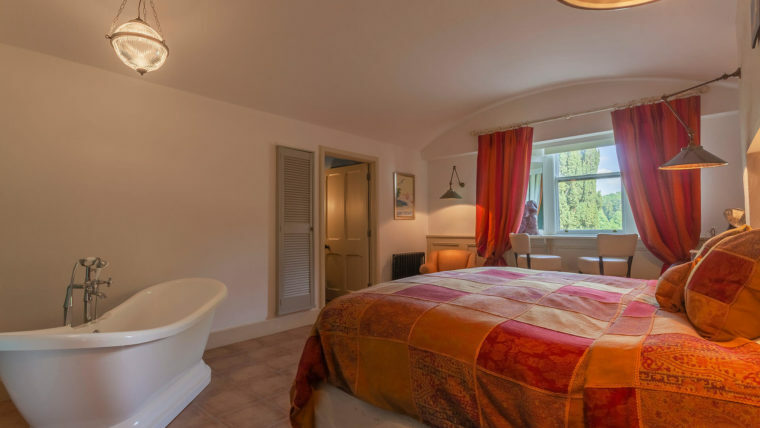 Some baths are fabulously large, ideal for a romantic soak for two. 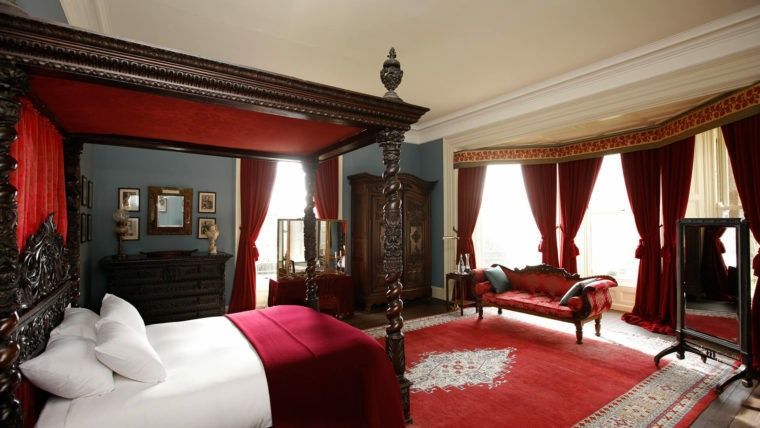 Indulge at one of the very best Monaghan Hotels and enjoy the Castle Leslie experience! 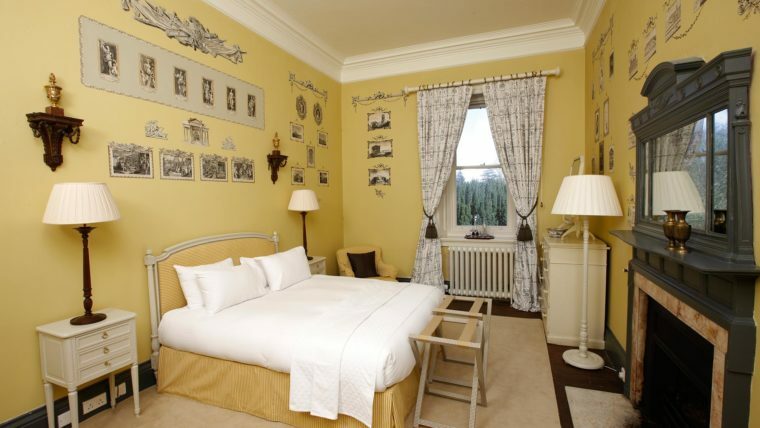 For luxury 4 Star Hotels In Ireland look no further than Castle Leslie Estate, County Monaghan. Please note that in certain circumstances, access to The Castle may be restricted or not possible on a small number of days throughout the year.